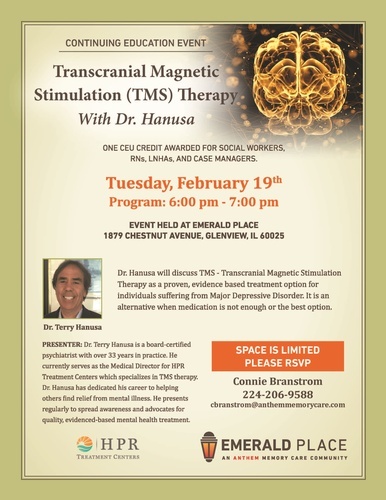 Dr. Hanusa will discuss TMS - Transcranial Magnetic Stimulation Therapy as a proven, evidence based treatment option for individuals suffering from major depressive disorder. It is an alternative when medication is not enough or the best option. One CEU credit awarded for social workers, RNs, LNHAs and case managers.